Jeff was born and raised in Cincinnati, OH. He fell in love with the Pacific Northwest while backpacking on a summer trip during high school. 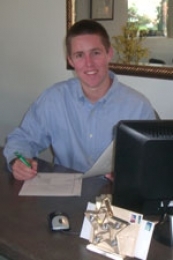 Jeff graduated from Lewis and Clark College in Portland, OR, has lived in Breckenridge, CO and Eugene, OR. Jeff has resided in Bend for over 20 years. Jeff worked for Allstate Insurance Company as a Regional Manager for 10 years where he earned many accolades for his service. 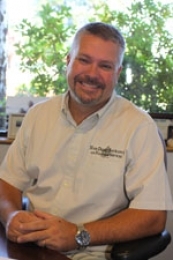 Jeff started High Desert Insurance and Financial Services in 2002. Jeff is a lacrosse coach at Summit High School and has worked hard to grow youth lacrosse in Central Oregon. Jeff has earned the honored designation of Eagle Scout and enjoys skiing, trap shooting and raising his 3 sons with his wife Patsy. Patsy was born in Eugene, OR and graduated from Lewis and Clark College in Portland, OR. The majority of Patsy's work has been in counseling; helping troubled youth and families. Patsy, and her husband Jeff, have lived in Bend for over 20 years, and they are raising 3 very active sons. Patsy is a board member of The Center Foundation, is a member of Allied Arts and volunteers at her children's school. She loves skiing, traveling, cooking and watching her kid's sporting and theatre events. 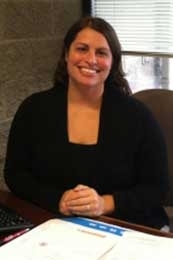 Andrea is a veteran insurance agent with over 15 years experience. 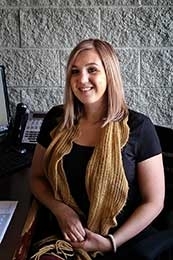 She joined the High Desert Insurance team in September 2013. Andrea enjoys camping, reading and travel. She loves spending time hiking with her husband and her dog Zoey. Cassie Erickson moved to Oregon in 2009 from Arizona. 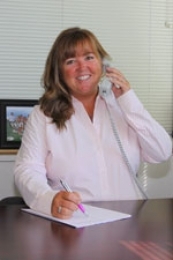 She joined High Desert Insurance in February 2015. Her licensed specialty is Home and Auto insurance. Cassie enjoys motorcross with her husband Levi, her dog Clutch, traveling and painting. Holton was born and raised in Bend, OR. He loves living in Bend and enjoys all that it has to offer. He skis, mountain bikes, and enjoys time at the local lakes. Holton has received the honored designation of All Conference First Team for lacrosse two years in a row. Holton was also Team Captain of his high school lacrosse team. Holton is finishing up his degree in Business at OSU Cascades.